6 Days Tanzania Safari | . Arrive at Kilimanjaro International Airport, Meet & Assist at the airport and after going through Immigration, Baggage Claim and Customs, Transfer to Impala Hotel Arusha in order to overnight on Bed and Breakfast basis. This is a popular day trip, requiring only some 3 hours with transportation. Those interested to see the main features of Arusha will begin their tour somewhere around Clock Tower, on foot, with one of our guides and will usually begin walking northwards in anti–clockwise direction, taking in such sites at the Natural History Museum , various monuments celebrating independence, Arusha Local Market, and some craft shops. 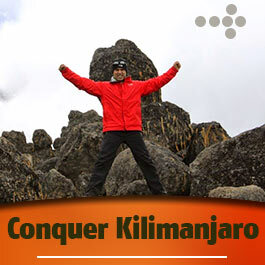 Arusha Town Tour typically takes some 2 – 3 hours and covers around four kilometers. 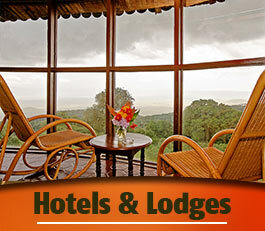 You will stay overnight at the Impala Hotel Arusha on Bed and Breakfast basis. Depart for Tarangire National Park for game drive; Tarangire s the sixth largest national park covers an area of approximately 2,850 square kilometers. 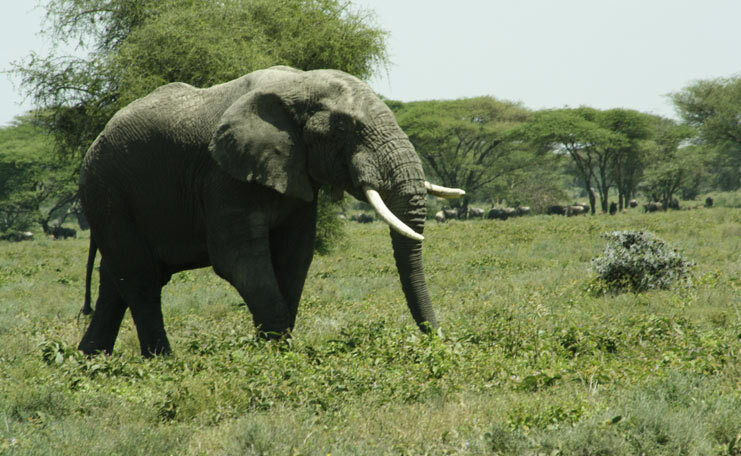 Tarangire is famous for its huge number of elephants, baobab trees and tree climbing African pythons. Stay overnight at Maramboi Luxury Tented Camp or Zion Camp Tarangire on Full Board basis. After breakfast drive to Serengeti National Park with an optional – via Olduvai Gorge (Millions of years ago, the site was that of a large lake, the shores of which were covered with successive deposits of volcanic ash. Excavation work there was pioneered by Louis and Mary Leakey beginning in 1931. The Serengeti National park covers 14,763 km² (5,700 square miles) of grassland plains and savanna as well as river trine forest and woodlands. The park lies in the north of the country, bordered to the north by the national Tanzania and Kenyan border, where it is continuous with the Masai Mara National Park Reserve. Stay overnight at Serengeti Katikati Luxury Tented Camp or Seronera Camp on Full Board basis. Start your day with a full day game driving in the Serengeti plains, the endless, almost treeless grassland of the south is the most emblematic scenery of the park. . Other hoofed animals – zebra, gazelle, impala, hartebeest, topi, buffalo, and waterbuck – also occur in huge numbers thru out the year. Stay the second night at Serengeti Katikati Luxury Tented Camp or Seronera Camp on Full Board basis. 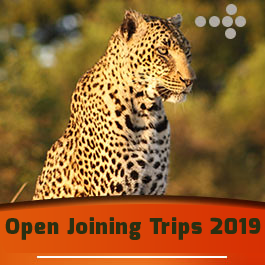 Wake up call at 6:00am, in order to have just a cup of hot coffee then proceed for the early morning game drive, this morning game drive is very important as you will be able to witness the early morning kills from the big five only if you will be lucky enough. After the game drive back to the Lodge at 9:30am in order to have your main breakfast, there after you will check out the Lodge and proceed with game drives en–route to Ngorongoro Conservation Area Authority. Stay overnight at Ngorongoro Wildlife Lodge or Simba Camp – with fascinating view of the crater floor! Descend into the Ngorongoro Crater for crater tour. This is world heritage site; the incomparable Ngorongoro crater is the world’s largest “caldera”. Dominated by cliffs standing some 600 meters high and presenting a sheer drop down to a wide open space of some 246 square km, and you may see everything from elephant to lion, and if you’re lucky, the near–extinct black rhino, all amongst large herds of zebra and wildebeest. Afternoon exit the crater and drive back to Arusha in order to stay overnight at Impala Hotel Arusha on Bed and Breakfast basis. 2 people Price cost US$ 1,841 per person. 4 people Price cost US$ 1,459 per person. 6 people Price cost US$ 1,331 per person. 2 people Price cost US$ 2,393 per person. 4 people Price cost US$ 2,011 per person. 6 people Price cost US$ 1,883 per person. Meet and great service, All park fees, Tanzania Lodge safari, Tanzania Budget Camping Safari, Driver guide, Game drives in a 4×4 safari vehicle with pop up roof, 1.5 Bottled drinking water while on safari, Safari cook, Airport pick up, Breakfast, Lunch, and Dinner. International flight, Visas, Airport tax– but it can be paid direct by client(s), Tips, Sleeping bags – if required it can be hired locally, Other Drinks, Personal travel and Baggage insurance, Telephone bills, Emergency evacuation insurance, Laundry and any items of personal nature, Departure transfer. Please take a Note: Your booking is not yet confirmed but we will check your accommodation availability and it is provisional booked. We will confirm your booking after we hear back from you soon. DISCOUNT IS AVAILABLE ONLY FOR 2 OR 4 PEOPLE DOING THE SAFARI ITINERARY PROVIDED ABOVE.